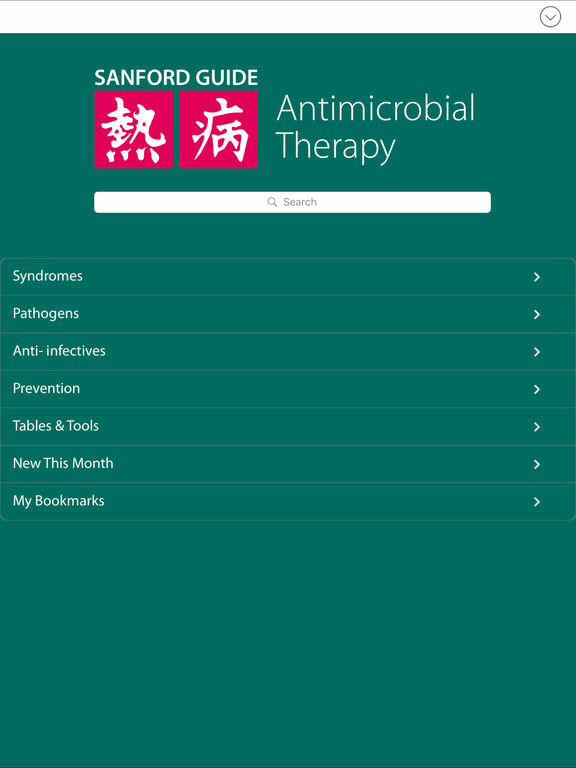 The Sanford Guide to Antimicrobial Therapy ($29.99/yr In-App subscription) app includes all the information you've come to expect from our print guide, with expanded digital-only content and numerous interactive features that make it an indispensable resource for today's medical professionals. Full text search provides fast access, detailed search results, and highlighted search terms. Intuitive menus provide another way to navigate and see the organization of our extensive content collection. Together with bookmarks and notes, you can access content according to the way you work. Your annual subscription includes monthly updates. 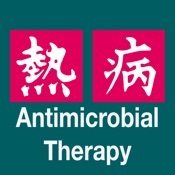 Since 1969, The Sanford Guide to Antimicrobial Therapy has been the leading clinical reference for treatment of infectious diseases. Popular with physicians, pharmacists, physician assistants, nurse practitioners, and other clinicians, the Sanford Guide provides medical information that is convenient, concise, and reliable. Coverage includes: clinical syndromes (organized by anatomic system/site of infection), pathogens (bacterial, fungal, mycobacterial, parasitic and viral), anti-infective agents (dosing, adverse effects, activity, pharmacology, interactions), specialized dosing tables and tools, calculators and preventative therapy, all evidence-based and extensively referenced. -A subscription is one year for $29.99.